Stonehenge is a landing-pad for alien spaceships, built by the ancient Druids, in consultation with their alien masters, on a powerful intersection of ley lines running towards Atlantis and El Dorado. Or maybe it was satanic giants? According to those not buying into these obvious truths, Stonehenge is merely a megalithic structure in the United Kingdom. Archeological investigation and dating has given a best guess that it was built and re-embellished in about three different phases between approximately 3000 BCE and 2000 BCE. The bottom line is that nobody knows for certain why it was built because the people living there didn't know how to write. (Writing was only introduced to Britain by the Romans in 49 CE, some two millennia after Stonehenge was finished and a different people occupied Britain by then.) About all that we can know about the rituals conducted at Stonehenge was that they included massive feasts. The remains of pigs found slaughtered at Stonehenge and Avebury had been brought to the sites from quite distant parts of Britain, including north Wales and Scotland. Whatever the rite conducted there, it seems to have been 'bring your own food', and attracted tourists from distant parts of Britain. Some believe Stonehenge has supernatural origins and some neopagans think was a place of worship for the "old religion." Archeologists note that the monument is older than the Druid religion which dates from the Iron Age, but this has not kept various theories linking Stonehenge to the Druids from proliferating. This is, however, dispelled by the fact that Stonehenge was built 2000 years before Druids first arrived in the area. Similarly there are incorrect claims that Stonehenge was built by Celts, Druids being a subclass of Celts (see neopaganism). Celtic nationalists and pan-Celticists want to claim that Celts were the best and were responsible for everything; in reality there is little evidence of a distinctively Celtic culture in the British Isles, and Celtic languages probably arose in the first millennium BCE, long after Stonehenge. There are also claims of human sacrifice at Stonehenge. These arise from the fact that individual stones were named as the Altar Stone and the Slaughter Stone in the 18th century (or possibly even later), rather than from any actual knowledge of historical practices at Stonehenge. It has been suggested that the Druids or Celtic-speaking people of Britain practiced human sacrifice around the time that Romans arrived, but as already established, Stonehenge wasn't built by Celts or Druids. While some archeologists would like to think Stonehenge had just a singular purpose, many Neopagans believe that it probably had multiple purposes, because it is designed to align with multiple events (such as the lunar cycle). The latest theory is that the monument was built to celebrate a grand act of union between previously warring tribes. Currently, the monument is aligned so that the Sun rises from behind the "heel stone" on the midsummer solstice. This leads some to claim Stonehenge as a kind of 'ancient observatory'. Further shades of woo are indulged in by Velikovskians and other pole shift enthusiasts, who in various attempts to both have their cake and eat it, will claim that the fact that the heel stone was moved means the Earth's orbit and/or pole must have moved, or conversely the fact that the heel stone hasn't been moved means that the Earth's pole and/or orbit must have moved just before Stonehenge was built and they built it to measure the new seasons. Something interesting about Stonehenge is that it is partly made out of a blue stone called, creatively enough, bluestone. While most neolithic monuments were sensibly made from local rock, bluestone had to be brought from over a hundred miles away, from the Preseli Hills in Wales, possibly by sea, or more likely levitated into place by Merlin. 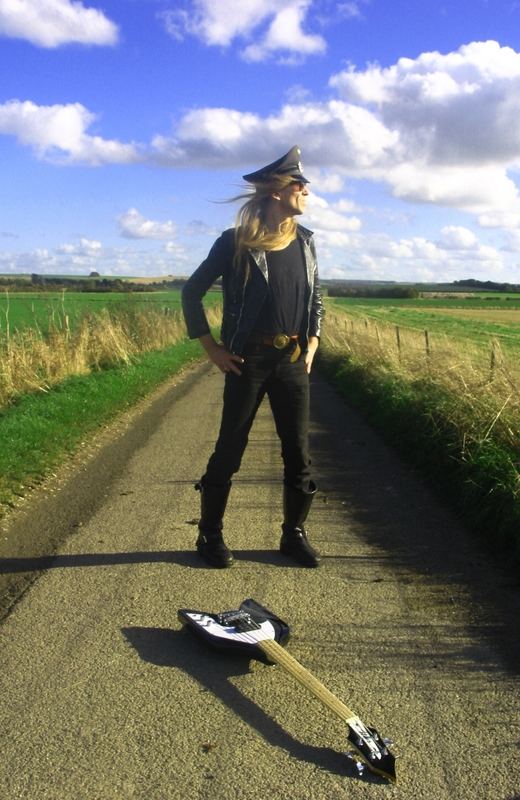 Hang on a minute, that can't be right… look — it's Julian Cope! One suggestion is that they took the stones from an earlier stone circle in Wales and brought them to Stonehenge, if that would be easier than cutting them nearby. By the way, in case anyone asks on your SAT or A-Levels, Stonehenge is not actually a henge. Why did they name it that? Same reason they built it, one supposes. [note 1] Take it as one of those oddities of our language, just as a peanut is neither a pea nor a nut. It should probably also be pointed out that the ancient Britons built megalithic structures, dolmens and stone circles all over the British Isles and northwest Europe. As architectural fashions demonstrably change over the years, it is always possible that they simply thought they looked pretty damn cool. Georgia Guidestones: A faint imitation of the original. ↑ Actually, the word "henge" is derived from the name Stonehenge. Even though Stonehenge isn't one. The name Stonehenge was coined by 11th-century English writers, and just meant "supported stones." ↑ Did Satanic Giants Build Stonehenge? by Brian Tashman (April 15, 2016 3:00 pm) Right Wing Watch. ↑ Stonehenge was 'hub for Britain's earliest mass parties'. BBC News, Mar, 13, 2019. ↑ See the Wikipedia article on Celtic languages. ↑ Sheffield university helps to crack the mystery of Stonehenge — possibly: The famous circle may celebrate the end of Britain's forgotten east-west divide, long since replaced by the familiar one between north and south by Martin Wainwright (22 June 2012) The Guardian. This page was last modified on 27 March 2019, at 19:33.